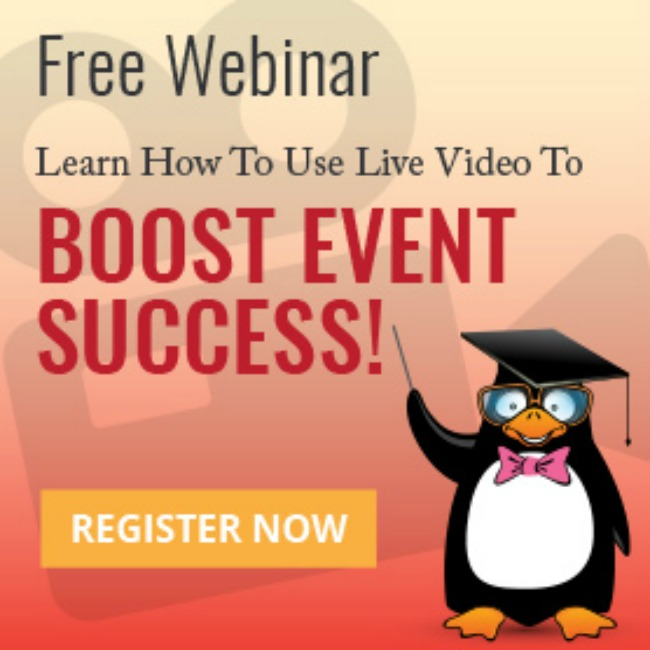 We have an awesome FREE webinar lined up for you!! Live video is poised to dominate the events landscape in the coming months. Facebook, Twitter, Periscope and other social media platforms are placing big bets that people will love live video and use it more than any other social media option available. Now is your chance as an event planner to become a live video master before you lose your first-mover advantage. Captivate potential attendees and actual attendees like never before thanks to live video! Join Sandy Hammer, AllSeated’s Co-Founder and CMO along with David Epstein, Content Marketing Manager at Bizzabo, for a free webinar September 13, 2016 at 12:00 pm (EST). Follow this link to learn more and secure your spot!